Inside Out is probably the most clever film yet to come out of Pixar Animation, but in no way is that the same as being its best. The film has been universally praised by critics for its creative ingenuity, and rightly so. Its story is groundbreakingly original: Riley, an eleven-year old girl having trouble adjusting after her family moves from Minnesota to San Francisco, but the real action takes place almost entirely inside her mind, where her core emotions – Joy, Sadness, Fear, Anger, and Disgust – work together to keep her balanced amidst an increasingly challenging new set of circumstances. The problems first arise when Joy (voiced with predictable exuberance by Amy Poehler) tries to keep Sadness (Phyllis Smith) from altering Riley’s core memories. See, with things in San Francisco not working out as expected, Sadness is starting to gain in influence. Like a misguided mother, Joy is determined to keep her little girl happy, and she tries to stop Sadness, setting off a chain reaction that leads to both of them being hurled into the recesses of her brain, where they must learn to work together to protect Riley’s happiness and get back to the control center. It’s a clever idea stuffed with clever ideas. On their journey, Joy and Sadness encounter the hallways of long-term memory; a tunnel of abstract thought, where they both turn into Picasso paintings; and the Train of Thought, an actual locomotive that is their best hope for getting back to the control center. Along the way, they get help from Bing-Bong (Richard Kind), Riley’s imaginary best friend, who provides some gleeful comic relief from the at-times overbearing psychological comedy. It’s not that these ideas aren’t noteworthy, funny, or even psychologically astute. They are. But they’re just ideas, and that’s not enough to hang a movie on. Talking about emotions is not the same as expressing them; in fact, in some ways it’s the opposite of that because it only engages the intellect. To their credit, the filmmakers seem to recognize that spending time with Riley is more affecting that hanging out with the people in her head, but the structure prohibits a solution. With Joy and Sadness on their adventure, the other emotions – the less useful ones – are running the show, and Riley’s life gets worse and worse. She has a crying fit at school, quits the hockey team after embarrassing herself on the rink, and eventually plans to run away. It’s a storyline built to jerk a few tears, but we don’t really spend enough time with Riley to make those tears – and they do come, even to this cynical critic – mean anything. Still, there are pleasures to be had. The voice-casting is spot-on; Amy Poehler spent seven seasons as Leslie Knope on “Parks and Recreation” preparing to be the embodiment of Joy. Lewis Black of “The Daily Show” and comedian Mindy Kaling are type-cast as Anger and Disgust, respectively. Richard Kind, however, may be the unheralded star. He’s an actor whose face you might recognize, but his voice will definitely be familiar. Exuberant and high-pitched, it’s a miracle Kind has not made a better living in animated films. As the blissfully optimistic Bing-Bong, he takes over the movie for a spell, and he even gets one of its most heart-breaking moments all to himself. But it’s not enough to compensate for its flaws, and I have to admit: It feels odd to criticize Inside Out because it’s exactly what we have all been asking for. Pixar, once on an unbeatable hot streak, had given into the Hollywood sequel-machine with the sub-par Cars 2 and Monsters University. 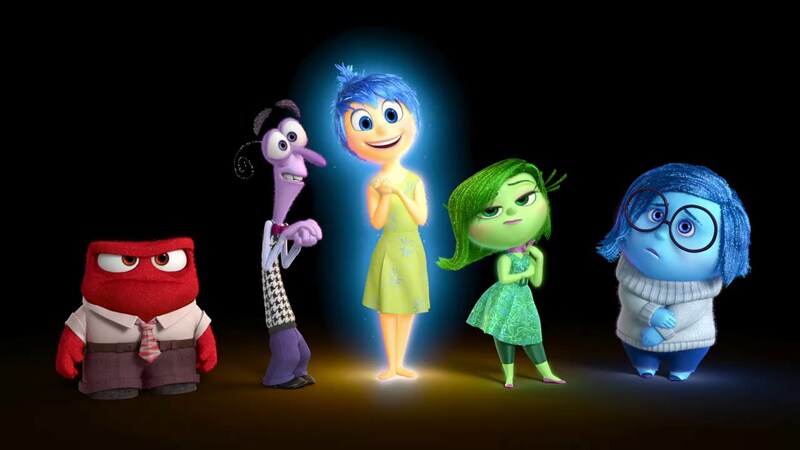 If nothing else, Inside Out is an original film, and that’s a step in the right direction for all of Hollywood. It’s not a sequel, spin-off, or reboot. It’s not violent or sexualized. It’s an all-ages show with comedy, thrills, and heart, and, best of all, it’s smart. But it spends so much time trying to convince the audience of how smart it is that it forgets the basic tenets of storytelling. Show us characters we can relate to, and let them exist. Inside Out packs itself with lessons, winks, and knowing chuckles, so it never achieves the emotional splendor of the better Pixar films like The Incredibles, Wall-E, and Up. Admittedly, that’s a pretty high bar to reach. One of the best reviews of the movie I can relate with. I honestly liked the movie for its creativity, intelligence and a storyline that truly shows what goes on inside your head! But with all the colourful scenes in the movie, the basic storytelling did not engage me. I felt I watched a movie from a mile away, without being pulled in and enjoy it as how everyone else claims they did! If they focused a bit more on their script and storytelling, this movie would have been stellar in my eyes!